Thousands of people tune in to listen to their local radio stations each day. Many of the presenters become more like old friends rather than a stranger. By using the internet you can see profiles of the presenters and send them emails on many differing subjects. There are daily phone-ins and plenty of informal chat on all manner of subjects. Often the same people phone week after week and the presenters get to know them. Whenever the subject is on pets, try to make sure you get on, you can, while voicing your opinion, mention that you own a boarding cattery. This is great free advertising, try and make use of it. 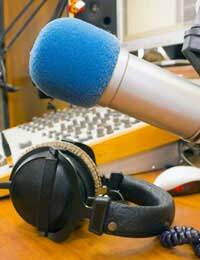 Local radio can be a wonderful tool in the marketing of your business. You can of course write to the producers of the various programmes that you would like to target, and ask if you can get onto the radio and give a short talk about running a boarding cattery. If you look at the website for the radio station, you can pick out which programme would be most suitable. Perhaps you could do a slot on the gardening program talking about cats in the garden. The producers of programs will normally welcome different guests and different topics to chat about. You could also email the individual presenters and ask them if they would be interested in talking to you on air. There are always contentious issues surrounding animals. The cat lovers versus the gardeners, the increasing opportunity to take your pet abroad when you go on holiday. Quarantine laws, the people who go abroad to rescue cats and bring them home. The list is endless. Most presenters love to get a good discussion going on their phone-in programmes and if you can suggest this to them. A question and answer phone-in would be good, try to make sure you have enough knowledge, if you are unsure don't suggest it unless you can have notice of what the questions will be. This is not cheating, it will just enable you to give the best replies. It could lead to great advertising for your cattery. There are of course commercial radio stations that you can advertise on. The cost of this will vary from area to area and will depend on how often your advertisement is broadcast and at what time of day. Would you want to target the listeners who are able to have the radio on all day e.g. housewives, or would you like to reach the listeners in the evening? What type of programs would you like to advertise during? Would you want your advertisement to be punchy and strong or soft and relaxed? You should consider what you want before approaching the advertising team. Find out the final cost before committing yourself. Although advertising in this way will reach many hundreds of people they will not gain any real information about you as a person who they would trust to look after their beloved cat. Much better if you can get onto a local radio station yourself and promote your business.